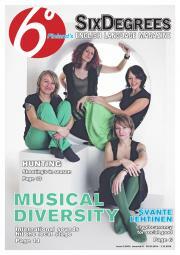 Published monthly, SixDegrees is a free English language magazine in Finland. SixDegrees provides information on interesting multicultural topics, events and people. SixDegrees is a stimulating meeting point for Finns and foreigners, creating a positive arena for the interaction of different cultures.